April Fools' Day has been and gone, and yet again the newspapers were at it, trying to prank the unsuspecting members of the public with their silly hoax stories. Also in the news this week, Adele has taken another very funny selfie at one of her concerts, James Corden stole Jennifer Lopez's mobile phone and sent a suggestive text to Leo DiCaprio, and Victoria Beckham posted a picture on her Instagram account with her leg in the air. A fairly typical week then by all accounts, really. I walked proud. I walked strong. I walked in the name of peace. Scott Mills bridge is a real experience and a must do. A triumph of the modern era. The North and South are at peace here in this sacred spot. Thank you Scott Mills. I have actually walked across Scott mills bridge and it was an epic 20 second adventure, with a hint of wee smell lingering in the air. This goes from one side to the other. It is a great place to be if you need to cross over the road. YYYYAAAAAASSSS! 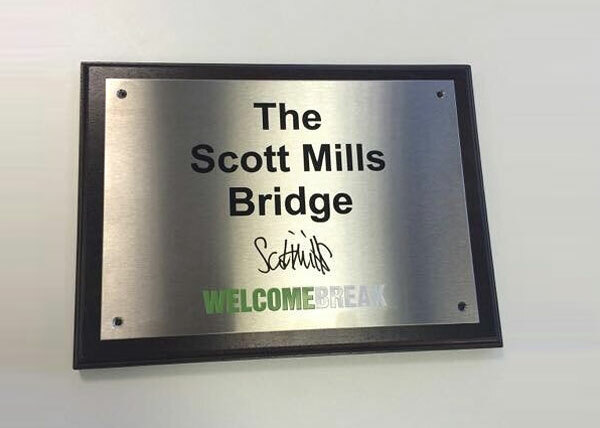 The Scott Mills bridge! Were You Fooled by the April Fools?! Well, April Fools' Day has been and gone, and once again those pesky newspapers were out to get us with their daft practical jokes and silly stories, as they do every year. For many readers, this is the highlight of their year, trying to spot the real stories from the made-up ones! 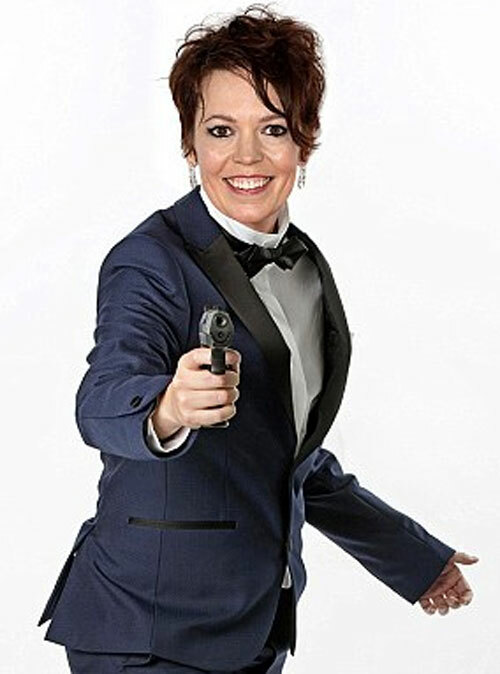 This year, there were hoax news articles about Olivia Coleman (off of ITV's Broadchurch with David Tennant) becoming the first ever female James Bond (007), while it was also reported that Britain's Got Talent would have a trap door on stage that the judges could use for really rubbish auditions. There was even an article about a London cafe selling water from the River Thames for £6.75 a glass, and that London mayor Boris Johnson was going to push through plans for his very own hoverboard service, called Boris Boards. 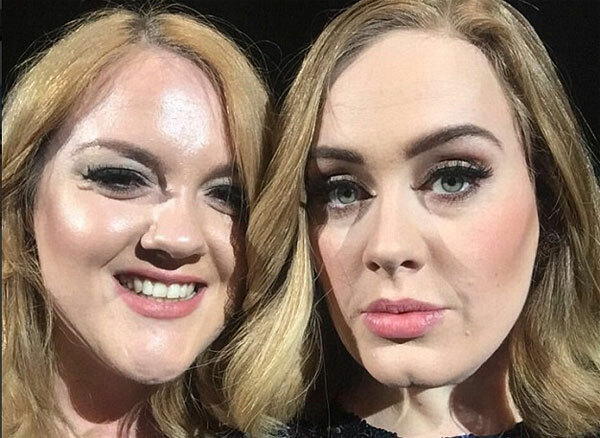 We all know by now that Adele seems to enjoy taking selfies with her fans, and at her recent concert in Birmingham, the superstar 'Hello' singer spotted lookalike Emily Bamforth in the crowd. So she persuaded Emily to come onto the stage and the lookalike fan posed for some very funny photos, with Adele taking the snaps on her new friend's phone while the crowd cheered and laughed. It is great that James Corden is continuing to go down so well in the USA with his popular Late Late Show, which has become known for its funny carpool karaoke feature with celebrities. 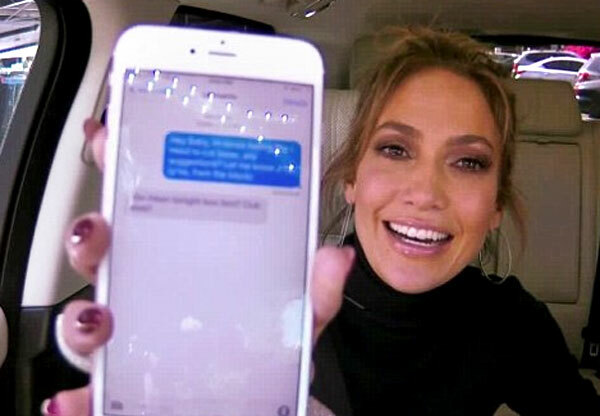 In his latest edition with pop star / actress Jennifer Lopez, James managed to persuade J-Lo to show him her very impressive phone contact list of celebs, which included the likes of Bradley Cooper, Fergie (off of the Black Eyed Peas) and Dwayne 'The Rock' Johnson. Before she knew what was happening, James had sent a rather saucy text to her friend Leonardo DiCaprio, and when Leo replied moments later, J-Lo was rather embarrassed to say the least! The Beckham family seem to enjoy living their life very publicly, with their hugely popular Instagram accounts and constant publicity wagon. Mum of Brooklyn, Romeo Romeo, Cruz and Harper, Victoria Beckham recently posted a rather peculiar picture of her lying on the sofa whilst doing her nails, with one of her legs up in the air. The picture was simply captioned: 'Ballet classes are paying off'.